CARBONDALE — Pitkin County Open Space and Trails officials said Wednesday they will phase possible construction of the Carbondale to Crested Butte trail starting with the section climbing from Redstone to the top of McClure Pass. That 7-mile stretch of narrow dirt trail is the least controversial of a proposed 20-mile trail from the BRB Campground on Highway 133 to the top of McClure, said Gary Tennenbaum, director of Pitkin County Open Space and Trails, as he presented the ambitious plan to a skeptical group of about 40 Crystal River Valley residents Wednesday in Carbondale. “Even if this is the only thing that happens, you have a Redstone to Crested Butte trail. It’s a standalone trail that can live on its own,” he said. Planning for the other 13 miles — the most contentious sections that could traverse private land and wind through rural neighborhoods along the Crystal River — won’t begin until 2030 or later. That’s if county commissioners ultimately give the go-ahead to the trail proposal. Tennenbaum fielded some passionate reactions as he outlined an ambitious plan to weave a 20-mile trail from outside Carbondale to the top of McClure. He heard from irked Crystal River Valley residents that preliminary surveys should have included a “no trail” option instead of proposing two alignments, one carving through neighborhoods, open space and along the river, and another following Highway 133. “More people would write that as an option if people knew that was an option,” said one woman. “Final plan sounds like thats the end and you are going to decide how the trail goes through our neighborhood,” said one man. The nearly 300-page preliminary plan for the 20-mile stretch from outside Carbondale to McClure is diced into many sections, each to be phased in over the next two decades. Seven of those sections — the parts that involve private land, neighborhoods and possible bridges crossing the river — do not have recommended alignments. That’s by design, Tennenbaum said. That could be 10 to 15 years or more down the line, he said. With Open Space and Trails only able to direct up to 40 percent of its roughly $8 million-a-year budget toward trails, construction of the Carbondale-to-McClure stretch will take generations. The original plan called for a hard surface for most of the trail and if aligned on the east side of the Crystal River — in those neighborhoods — that could cost in excess of $110 million. A natural or soft surface trail would cost exponentially less, especially if the trail follows Highway 133 and uses potentially widened shoulders. “Surface type has not been decided. It was originally presented as a paved trail to Redstone and that has been changed,” Tennenbaum said. Governor John Hickenlooper supercharged the Carbondale to Crested Butte Trail planning — which has been discussed and pondered for a quarter century, with the first five miles built in 2006 — when he identified the 83-mile trail among the state’s top 16 priorities in 2016, the year he championed a network of trails traversing the state and connecting every resident with nearby green space. After fielding about 565 comments, “we found out the plan should be bigger than the Carbondale to Crested Butte Trail,” Tennenbaum said. “It’s really become more of a corridor plan and not just a trail plan,” he said. Political and environmental opposition to the trail is strong in the Crystal River Valley. One resident on Wednesday suggested the influential Crystal River Caucus craft a petition urging outright rejection of the trail. Landowners have been reticent to negotiate easements across private property. Neighborhoods worry about bike and pedestrian traffic on narrow dirt roads and even narrow private bridges. 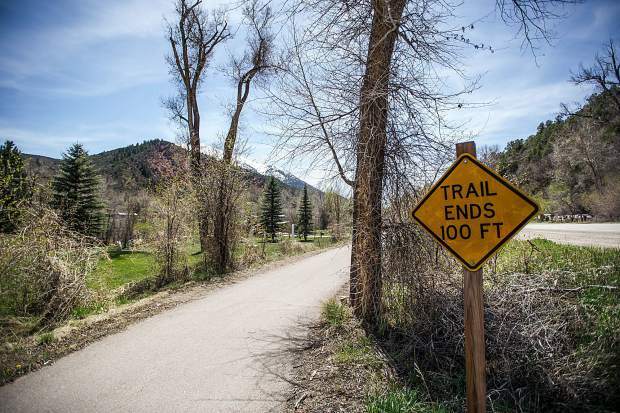 Still, preliminary surveys of Pitkin County residents showed strong support for the trail, with most concerns centering on where exactly the trail would fit inside the constricted corridor, with its islands of private land amid federal land and county open space. Open Space and Trails will present the draft plan at 5:30 p.m. Monday at the Pitkin County Library. On June 26, the board of county commissioners and the Open Space and Trails board will hear public comment at a spot yet-to-be-determined. Public comment on the plan closes July 27. Click over to pitkinostprojects.com for more information.